Stormthrone‘s minigames give players an early chance to enhance their Alpha experience. 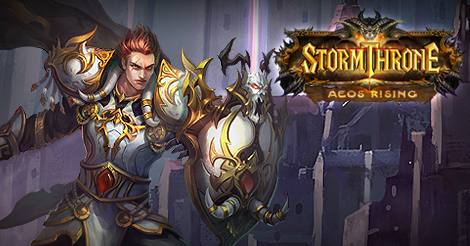 Those who master the daily challenges of Stormthrone Sweets and Stormthrone Spins will earn points towards exclusive item and Pyrum codes, redeemable as soon as the Alpha launches. The Exchange Points function will launch on November 18th at 8:00 AM EST, and new Stormthrone minigames will be released each week before then. Now that the doors to Aeos are just a little more open, R2Games anticipates enthusiastic response by the growing Stormthrone fanbase. Since item codes will be limited, players would be well-advised to collect as many points as possible before the function launches. Nexon has announced the second closed beta phase for its upcoming MMORPG, Riders of Icarus.